Meaningful art experience - this is what the CBRC Dream Theater is about. And in pursuing its dreams for the Filipino nation, it now embarks on the bigger picture for local cinema’s future - the country’s first microcinema franchise. But why invest on a microcinema? First of all, independent films have taken the world by storm. Whilst this, millennials hunger for meaning and purpose in the cinema. And to cater to this yearning, the microcinema concept was born. It is through the microcinema that Carl Balita Review Center (or CBRC) found the future of Philippine Cinema. Dr. Carl Balita would like to extend its concept of the Dream Theater to potential franchisees with a clear vision of the local film industry’s situation: millennials are the new, strong market for films. For more than a decade now, local independent films have achieved acclaim worldwide in various film festivals in many different countries and they are also seeking attention from local audiences. It is the microcinema that strongly caters to this need to have Filipino films accessible to the Filipino people. Their availability, accessibility and inexpensive ticket prices are potential exhibitors of local films. From its opening and blessing last June 22, 2018, the public’s response was very warm. Critics named it as perhaps the “biggest” microcinema around Manila. Audience reception has been very warm as well, more and more students come to experience the films and they are also very receptive to the films primarily because of the intimate experience the Dream Theater offers. Celebrities like Rachel Alejandro and Celeste Legaspi were also blown away by the cinema when they saw the film ANG LARAWAN as the opening exhibition of the Dream Theater. 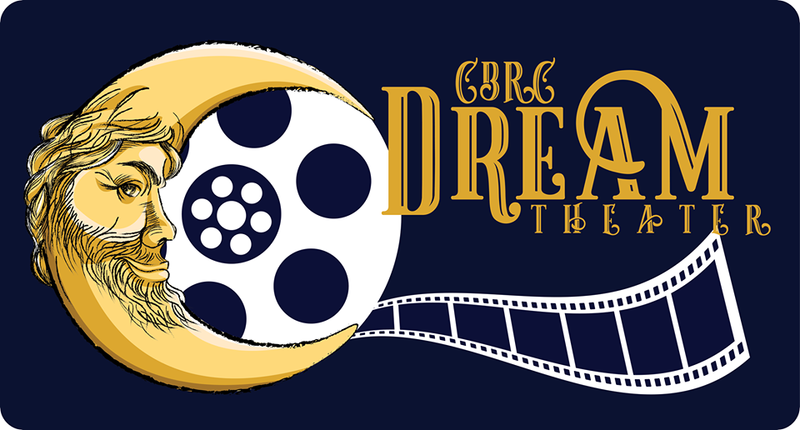 With the CBRC Dream Theater, we assure interested parties for a franchise of microcinemas that provides a meaningful artistic experience, promoting films that combine both educational interest and quality entertainment value. Plus, the Dream Theater is a sustainable and financially-viable investment, with skilled programmers and staffers who can organize its film screenings for a potential market of millennials and Gen Z students. Franchisees will find a potential microcinema in the model of CBRC Dream Theater and what it upholds for future microcinemas - it boasts a 5000 lumens and a 4k resolution projector, its audio operates on a 5.1 digital surround sound system, and it can accommodate up to 250 audiences. Plus it also contributes to environmental causes, with eco-friendly chairs made up of loads of plastic pet bottles. Not only is its services up-to-date, it is also legally viable as the Dream Theater has been licensed to operate by the MTRCB, and it has been trusted by producers with a wide array of available internationally-awarded and critically-acclaimed Filipino films. It has also embarked on a solid marketing strategy, with captured markets around schools, organizations and interest groups such as the LGBTQIA++ community, senior citizens, students and professionals. Lastly, true to its educational advocacy, CBRC is also open to offer seminars in film production, film seminars and theater workshops to teach audiences about media literacy. With the CBRC Dream Theater, we have come to realise a dream come true for all moviegoers and cinema lovers, as well as artists and students who wish to have a special arts hub for their shows. It is the age of microcinema, and the upsurgence of the Filipino independent films are now higher than ever. We are entering a renaissance of a new creative generation, hungry for an meaningful artistic experience. And so we bring to the country a new home for all artists - The CBRC Dream Theater.